Two copies of Song, the debut CD by Scott McPherson and Jamie Grant, or as they’re known around town, McPherson Grant, were practically itching to wing their way to lucky winners of our latest Pure Pop Radio contest. And now, the winging shall begin. Congratulations are due to Nadja Witherbee and Gene Good. Let the waiting-by-the-mailbox commence! More cool Pure Pop Radio contests are coming soon. Stay tuned! Alan Haber’s Pure Pop Radio is the premiere website covering the melodic pop scene with in-depth reviews of new and reissued recordings, and a wide variety of features (the 24-hour Pure Pop Radio stream, which ran from 2013 to August 25, 2018, succeeded the weekly Pure Pop Radio show, which began in 1995). Welcome to your number one home for coverage of the greatest melodic pop music in the universe from the ’60s to today. Actually, we have two winners! In our prize dossier are two copies of Curry Cuts’ outstanding collection of James Bond theme covers, Songs, Bond Songs: The Music of 007. Said dossier will now be emptied and dispatched to Rebecca Aldape and Terry Hrovat. Both Rebecca and Terry are now bona fide members of Her Majesty’s Not-So-Secret Melodic Pop Service. Welcome! Thanks to all who entered our Curry Cuts contest. More cool, as we not-so-secret agents are wont to say, contests are coming soon. Meanwhile, keep listening to Pure Pop Radio, your 24-hour source on Internet radio for the greatest melodic pop music from the ’60s to today. We’re continually adding new and new-to-you songs to our playlist. Hear what’s new by clicking on one of the listen links below. …Bob Fenster and Glenn Black. Congratulations! A copy of The Hangabouts’ wonderful CD and a very snazzy-looking green guitar pick will be going out to each of you shortly. Thanks for entering! More contests coming soon. Meanwhile, thanks for hanging out with us here in cyberspace and listening to the greatest melodic pop music in the universe on Pure Pop Radio. Stop Your Running Around! We’ve Got Winners! Our 11-day-long Eight Days a Weekling marathon, celebrating the release (today!) of Studio 2, the latest beat-o-riffic album from New Jersey’s fabulous foursome, the Weeklings, has come to a close. But we’re still celebrating! Every track from both Studio 2 and the Weeklings’ first fab album, lovingly called Monophonic, and select solo tracks from Glen “Lefty” Burtnik and Bob “Zeek” Burger, will continue to spin in rotation on our air. During the last 11 days, we’ve brought you command performances of Lefty’s 1997 appearance on the old, weekly Pure Pop Radio show, during which he performed live in the studio, and Lefty and Zeek’s appearance on Pure Pop Radio: In Conversation, during which the duo chronicled their adventures recording Studio 2 in London’s famous Abbey Road studios. And don’t forget those Weeklings Double Shots that were rocking the airwaves every hour during the marathon! We also ran a contest: Up for grabs were two Weeklings Prize Packs, containing the Studio 2 CD and the cassette version that features three, count ’em, three extra tracks–covers of the Beatles’ “It Won’t Be Long,” “All I’ve Got to Do,” and a screaming version of “I’m Down” that will leave you absolutely, positively breathless! We’re pleased as Merseybeat punch to announce that James Rosen and Patricia Rossi are the winners of our latest contest. James and Patricia will each be receiving a Weeklings Prize Pack in the mail. Congratulations! Thanks to everyone who entered. And extra-special thanks to the Weeklings–Glen “Lefty” Burtnik, Bob “Zeek” Burger, John “Rocky” Merjave, and Joe “Smokestack” Bellia–for making such great music. More contests are coming soon. Keep enjoying Pure Pop Radio, your original 24-hour source for the greatest melodic pop music in the universe! Listen online or on the go! And keep coming back to these pages for reviews of the latest and archival releases, articles, columns, and station updates. …David Hanson, Coke Belda, Mark Cunningham, John Borack, and Harold Oxborough. So we not only have one winner, we have five of them! Congratulations to you and you and you and you and you too! You will each receive Vanilla’s “On a Night Like This” forthwith. And thanks to all who entered the contest! More cool contests that will capture your imaginations are coming soon. Stay tuned! Alan Haber’s Pure Pop Radio is the original 24-hour Internet radio station playing the greatest melodic pop music from the ’60s to today. From the Beatles to the Monkees, the Posies, McPherson Grant, the Connection and the New Trocaderos, we play the hits and a whole lot more. Tune in by clicking on one of the listen links below. 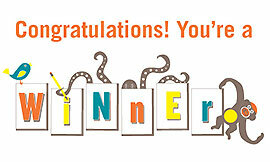 Clap Your Hands and Scream “Yay!” We Have Winners! Here at Pure Pop Radio headquarters, we love, love, love to give stuff away, and by stuff we mean today’s hottest albums and such. We love to go the post office and send this free stuff on its way across the country, across the waters, to waiting arms in whichever city or country might be appropriate. We say it loud and we say it proud: We love to give stuff away! And so we shall. Up for grabs this time around were two copies of the smashing debut album from pop music super group, the Legal Matters. The winners, each receiving a Legal Matters CD, are Ellen Considine and Henry Laura, two pop music fans who deserve to own the latest and greatest sounds. Congratulations, Ellen and Henry. Your CDs will be winging their way to you shortly. Stay tuned for more Pure Pop Radio giveaways. You might be the next winner!